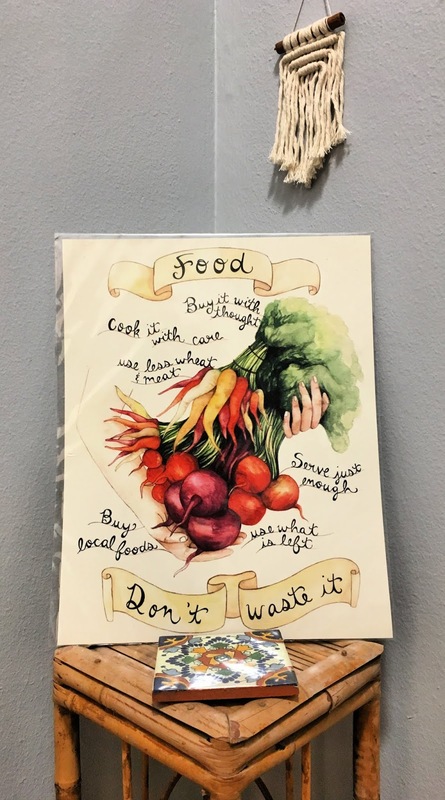 We get bi-monthly produce boxes from Organics to You, but I still struggle to get my girls to try new things and expand their palate outside the two, maybe three, vegetables they have decided they like. Sam, my son, will eat just about anything, and is never afraid to try a new item. Since what we receive is mostly seasonal, the vegetables are always changing that come to us. Amelia is the one out of my two girls that likes carrots, though my other daughter is not so keen. None of my kids care for avocados, but you'd never know from this cutie patootie picture! The kids have to try certain things, we keep trying with different seasonal vegetables that come through, as well as some fruits, and slowly by slowly, I hope they will loosen up. Parsnips are a root vegetable that I have to hide in soups, sometimes pureeing them. I am always telling the girls that even if it LOOKS funny, it doesn't mean that it TASTES funny! Having said that, this one looks pretty FUNNY! Oh, Amelia. If you'd spend even a fraction of the time sampling as you do staring at these odd looking things that we call food, who knows, you might just like them. 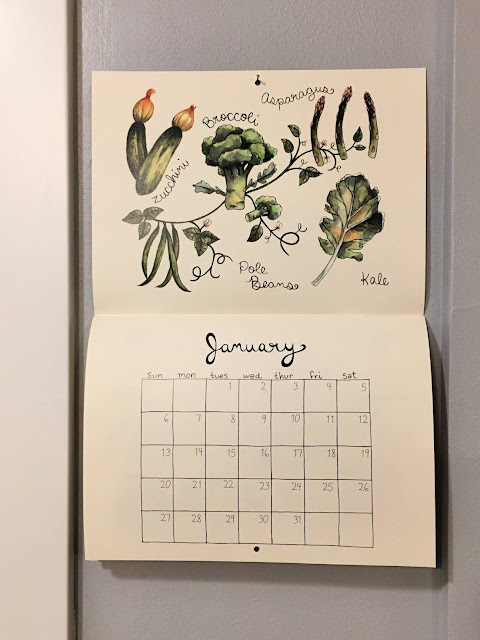 In addition, I beautify fruit and vegetables by displaying this beautiful calendar in our kitchen by Brooke Weeber of Little Canoe, an artist I have been supporting for many, many years. We have her succulent, vegetable, and fruit magnets, too. All of her work is lovely, and as of this year, we have started buying her Power Foods calendar to promote eating fruit and vegetables in the kitchen. P.S. These calendars are currently 40% off, and I would highly recommend ordering one!